Summer in the City is a series introducing APA LA’s members to the latest innovative, proactive planning in cities around the Los Angeles region. Between June and September, we’ll visit several cities whose staff will lead tours, site visits, and presentations that showcase their planning and community development efforts. On September 19, the fourth in our 2015 series will take us to the City of Beverly Hills. APA members and friends will be treated to a tour of the historic post office and new Annenberg Center for the Performing Art, the linear parks parallel to Santa Monica Boulevard, and the famous commercial districts. 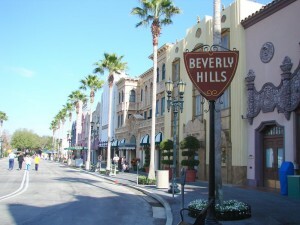 City of Beverly Hills planning staff will discuss their most pertinent planning efforts throughout the tour. Susan Healy Keene, AICP has been Community Development Director for the City of Beverly Hills since 2009, overseeing a department that includes planning, development services, community preservation, transportation planning and five Commissions. Her twenty-five years of experience includes serving as Planning Manager and Community Development Director for the City of West Hollywood and various planning positions with the cities of Santa Monica and Corte Madera, California. Susan has earned several professional awards including the California Chapter of the American Planning Association’s (APA) Planner Emeritus Network award of honor for her outstanding contribution to the professional planning and APA California. She has also been awarded a Certificate of Appreciation by the Beverly Hills City Council for providing exceptional customer service. Susan is a member of the American Institute of Certified Planners and an active member of the American Planning Association. Susan earned a bachelors’ degree in Urban Planning and Design at the University of Cincinnati and a master’s degree in Organizational Leadership from Woodbury University. Her ten years of experience as an improviser and stand-up comedienne have served her well in many public settings. Michele McGrath, AICP has over twenty four years of experience with the City of Beverly Hills where she is Principal Planner managing the current and long-range planning team in the Community Development Department. A fifth generation Californian, Michele earned an AB degree from Occidental College and an MA in Urban Planning from UCLA where she was awarded the Dean’s Award for Community Service and was a member of a group Master’s Thesis project that won a National APA Student Project Award. Michele served as past president of the UCLA Urban Planning Alumni Association and is currently a member of the UCLA Urban Planning Alumni Council. As a Member of the Board of the nonprofit Westside Urban Forum, Michele enjoys developing public panel discussions on land use and design issues, most recently helping to assemble a panel that explored how water is valued in Southern California. Michele is a member of the local, state and national APA chapters, volunteered during the 2012 APA national conference in Los Angeles—most notably by leading a bus tour of Los Angeles—and is a member of the Programs Committee for the 2016 APA California Conference. As one may gather from this description, Michele is a big fan of docent-led tours and would highly recommend the Park Ranger-led tour of Greystone Mansion in Beverly Hills, which she claims is one of the best house tours ever if the Rangers are prompted to talk about the ghostly goings-on. Reina Kapadia, AICP is a city planner currently working on implementing the City of Beverly Hills’ Historic Preservation Program. Prior to moving to Los Angeles, Reina worked on planning projects in such varied urban contexts as suburban Orange County, post-industrial Philadelphia, and rapidly urbanizing India—all of which fueled her passion for safeguarding historic places. Reina holds a bachelor’s degree in Urban Studies and Planning from UC San Diego, a master’s degree in City Planning and Urban Design from the University of Pennsylvania School of Design, and also studied architectural history at the American University of Paris. Reina lives in downtown LA in a 1925 National Register-listed building that once served as the terminal for the Pacific Electric Railway subway (if you look close enough, the station is still down there).